I kid you not, kids are messy. Even if they have a desire for clean things, they just seem to spread crumbs everywhere. I don’t like to stereotype, but it really wasn’t too bad – if you don’t count our flour escapade – until we had a boy. That or it’s our small living space that seems to have made things extra messy – I’m pretty sure I can attribute the food everywhere to the little Prince though. I finally decided I needed a vacuum that could help me clean everyday, instead of once a week. Something lightweight, but with enough power to clean every nook and cranny in the house. 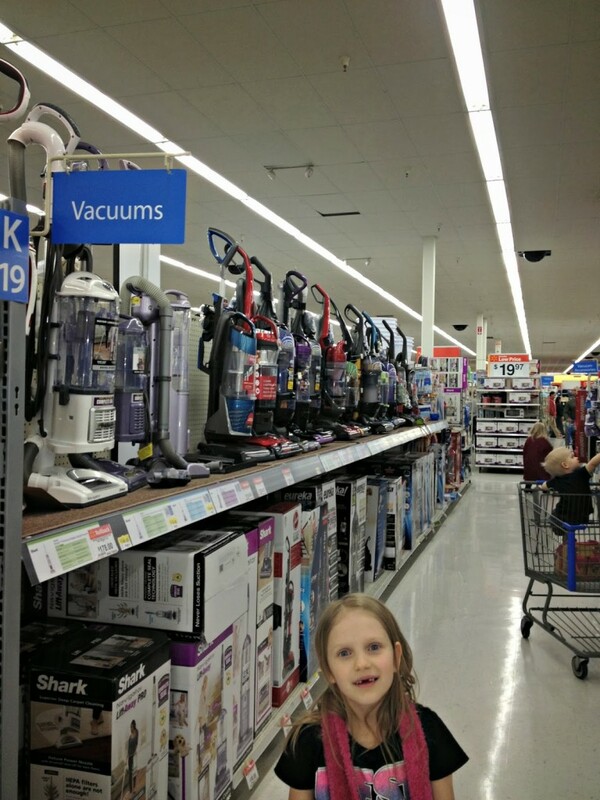 I headed out to Walmart to purchase the Eureka AirSpeed All Floors one night at 7pm, the only sane time to take 4 kids alone to look at vacuums. Once we had the vacuum at home I could not wait to start using it. It had every feature I wanted plus some! Lightweight. It even has a carrying handle on the back that our previous model did not have. Less bulky. The canister is slimmer, making it easier to push around, and store inconspicuously in our small apartment. Multi-surface. Comes with all your regular vacuum attachments, plus the added feature of turning off the floor brush for bare floors. Now don’t shake your head at me, but do you realize just how awesome vacuums are, and all the places they can clean if you have the right kind? Kitchen – This might be a place you already use your vacuum. Of course it makes sense if you’ve got carpet in your kitchen – but you all know how I feel about that! 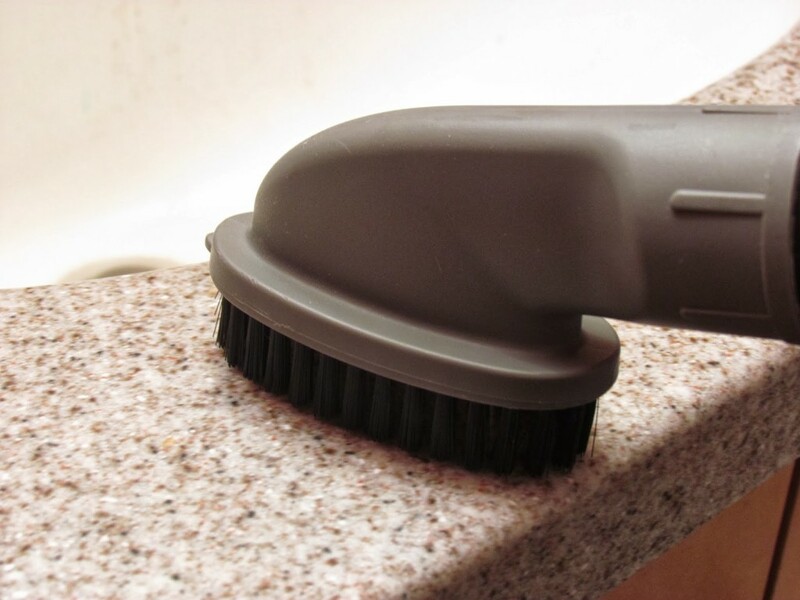 – if you’ve got tile or linoleum or even hard wood floor, a vacuum might not be your first go to tool for cleaning. If you want to vacuum your hard floors without ruining them, look for a vacuum that can turn off the brush and has a bare floor setting. By turning the brush off you’ll take away the chance of scratching your floors, or just spreading the crumbs around. 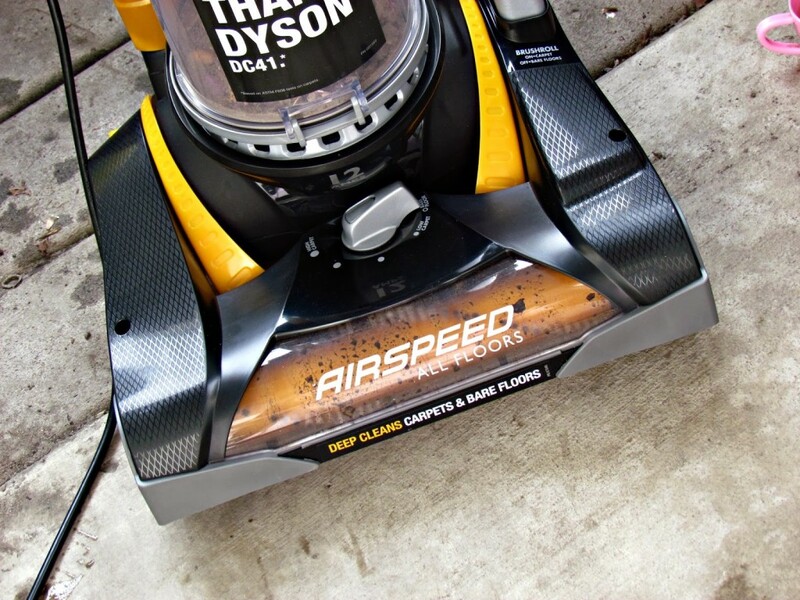 Multi-Surface – My absolute favorite feature of the Eureka AirSpeed All Floors is that I can vacuum across two surfaces at one time. Normally you want to avoid different surface seams, but when you have multi-surfaces in your home, it’s hard to avoid those, while still keeping them clean. One good example would be area rugs. My poor rugs have turned up corners from vacuum brushes pulling them in as I try to get them clean. With the ability to turn off the brush, I no longer have that concern. Furniture and Mattresses – We all know to look for spare change in the couch, but if money can fall down there, so can everything else. 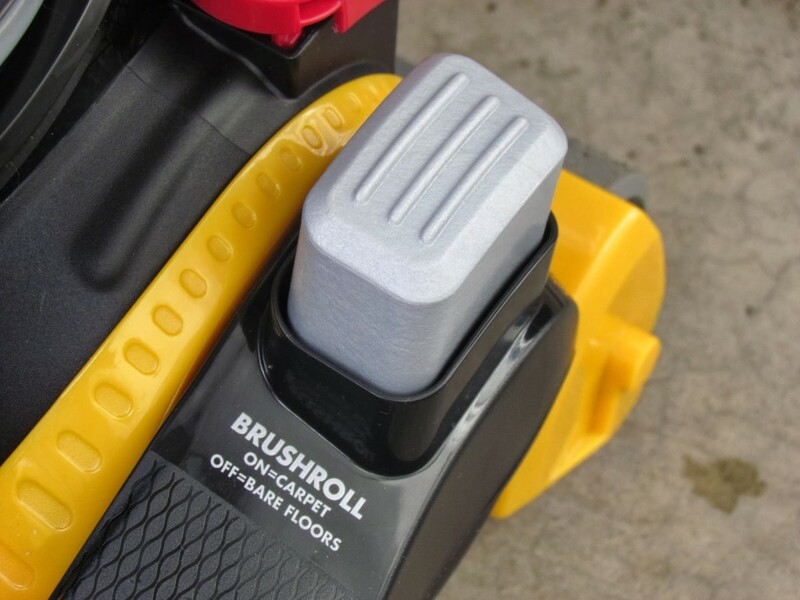 The hose attachment is great for cushions that can’t be removed, while the stair and upholstery brush is perfect for the cushions themselves. These same tools are great for your bed mattresses as well. 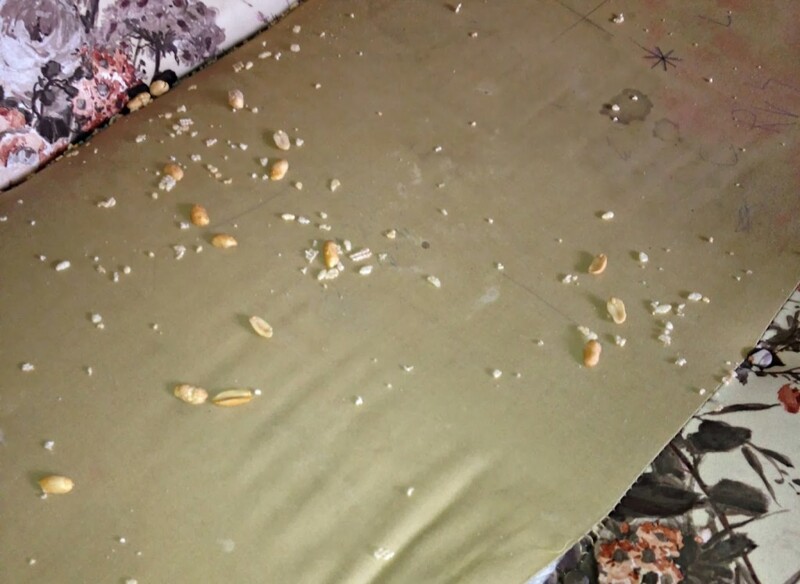 You should clean your mattresses at least once, if not twice a year. I like to periodically pour baking soda on the mattresses, let it sit for a couple hours and then vacuum it off. Truly my best friend on the vacuum is the stair and upholstery brush. The suction from the AirSpeed assures me it’s giving the mattress a nice deep cleaning as well. Concrete – No I am not kidding you! I know there is someone out there with a concrete basement, probably working on making it a place for the kids to play. It’s probably not an area you worry about cleaning frequently, but when you do, a broom just kicks up the dust. With the AirSpeed All Floors I was able to vacuum our concrete patio, and wow! I can’t sweep out there very well because we’re in the basement, and then there’s all these cracks where it changes from concrete to wood planks. The kids love playing out there, but I hate how dirty it is. I’ll be honest this was a total experiment – but it was one that worked! Disclaimer: Do not use your house vacuum on wet surfaces! Use a wet vac for any water messes. Ceiling Fixtures (BONUS! in case you were counting) – There once was a time I looked up and decided my ceiling fan needed a serious dusting. Not wanting to spread the dust onto the floor, I thought to myself “Adelina, why not try the vacuum hose?” So I did just that. Albeit slightly difficult with this cutie turning it off, it worked amazingly well. The only thing that would have made this first attempt easier was if I had a longer hose on that vacuum. The Eureka AirSpeed All Floors has a total reach of 39 feet. The hose itself making up 12 of those. When you add on the attachments, you’ve got a nice reach going on. We no longer have any ceiling fans, but now I’m dreaming of spring cleaning our recessed lighting all with a vacuum. Where would YOU use your vacuum? I am so jealous. Sounds like a great vacuum. 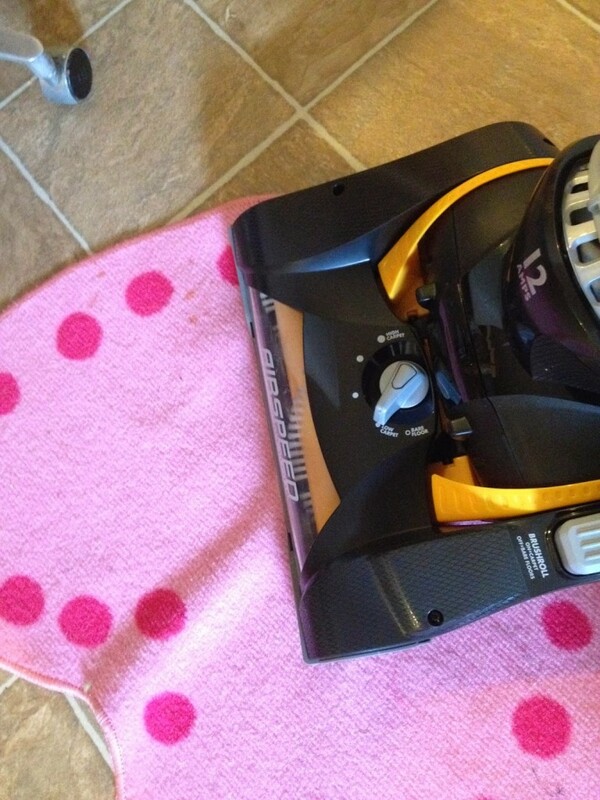 I'm jealous too…I vacuum at least 4-5 days of the week. Have to with kids. I vacuum in every room but your post reminded me what else I can be doing. Awsome ideas….. 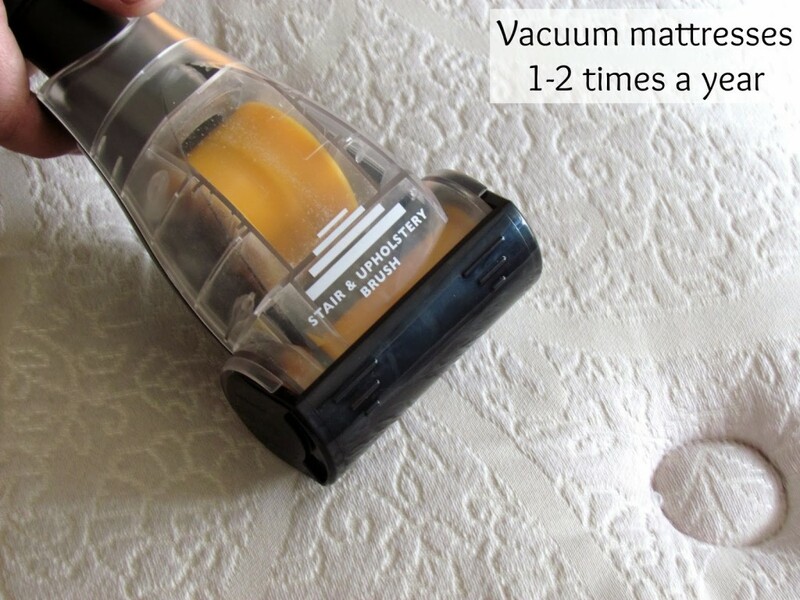 Especially with the mattress I also use my vacuum a lot as it's quick… I do like to get rid of spider webs either in or out with my vac…. Ooo yes, it's great for reaching up into corners for spiderwebs. After writing this I could think of a number of other places I use my vacuum too, but not quite on a regular basis. 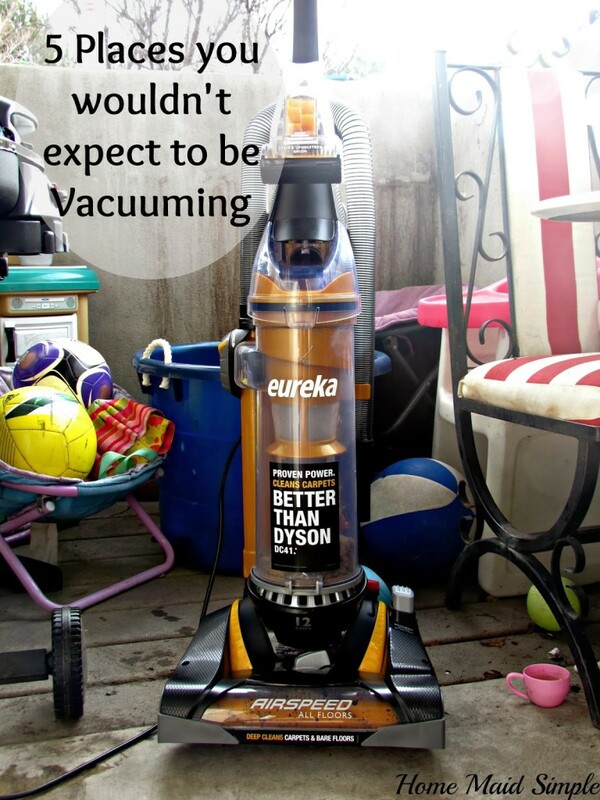 Vacuum envy!! I am so glad to hear that it works on all surfaces. My cat is a mess, and she flings litter all over the concrete floor. Glad to hear there is a vacuum out there to handle it! We desperately need a new vacuum. We live in an apartment and some spots are more worn than others which makes it harder to get out the ground in dirt.